A temporomandibular disorder (TMD) is more than just a temporary inconvenience. When it’s left unmanaged for too long, the jaw joint can sustain long-term and even permanent damage. The cartilage can become worn down, causing chronic pain and other issues. It can make eating, talking, and even sleeping difficult, interfering with all aspects of a person’s life. Because TMD and other joint disorders such as arthritis can cause serious problems in the body’s important joints, researchers have been looking for ways to repair damaged cartilage and heal these conditions. 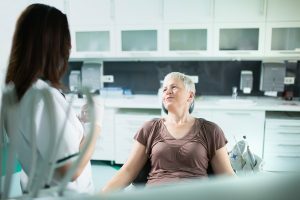 A recent study from the Columbia College of Dental Medicine found that stem cells in the temporomandibular joint (TMJ) can be used to repair damaged cartilage, which may be especially helpful for people who are suffering from TMD. But is this an option for you? The latest research on regrowing cartilage has only been conducted on animals, so we don’t know how it will work in humans yet. Though it is a possibility in the future, TMD patients must focus on ways to prevent cartilage damage today, and keep the jaw as healthy as possible. Fortunately, there are a number of ways this can be done if you have the help of those who understand TMD and the complexities of this often painful disorder. What Can I Do to Heal my TMJ? Seeking treatment right away. Don’t ignore the symptoms of TMD. If you’re noticing jaw pain, headaches, ear pain, teeth grinding, or other possible signs, we recommend contacting our office for an evaluation. Delaying treatment increases the chance of long-term joint damage. Eating jaw-friendly foods. Choosing foods that are easy to chew and swallow, and focusing on anti-inflammatory healthy plant-based foods can help relieve pain and help the body heal. Hot and/or cold therapy. Inflammation and sore muscles may respond well to ice packs or moist heat when needed. Alternate them to see what feels best, and talk to your health care provider about how often you should use these therapies. Avoiding TMD triggers. The best way to discover your individual TMD triggers is to have an in-depth discussion with a medical professional who is trained in TMD diagnosis and management. MedCenter TMJ can work with you to develop a treatment plan that brings you relief from TMD. Don’t wait to get the relief you deserve – contact us today.